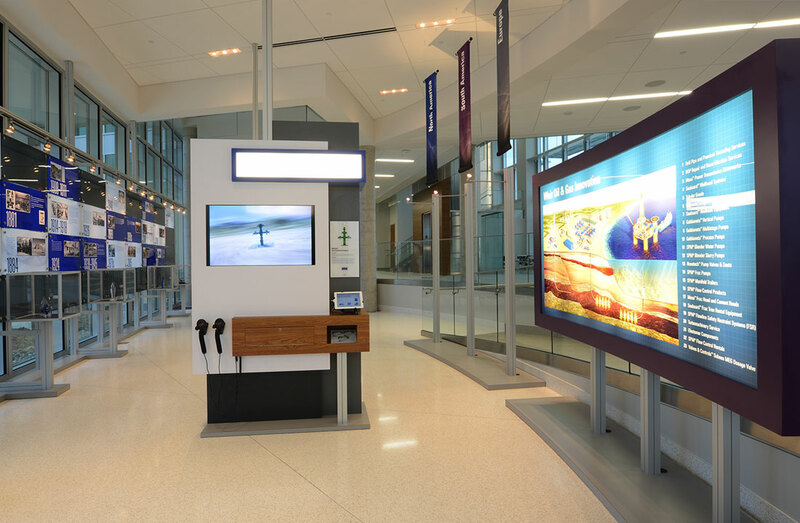 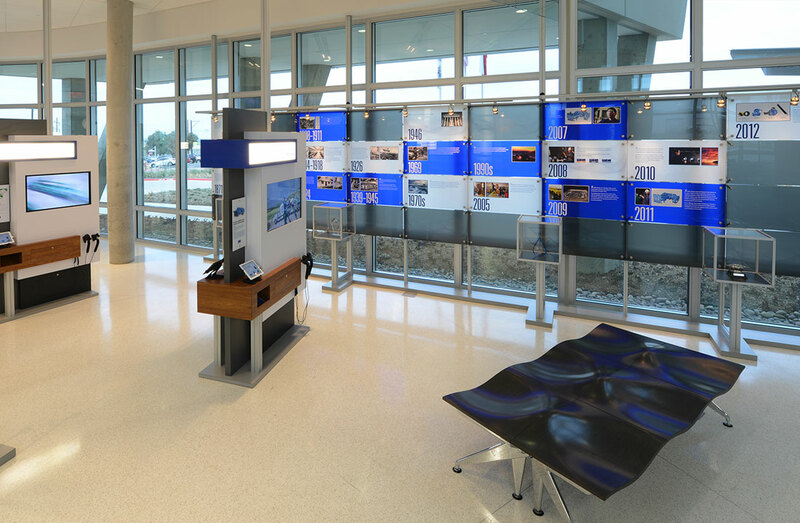 When WEIR Oil & Gas kicked off their extensive capacity expansion with the construction of a new North American headquarters facility for business manufacturing and services in Fort Worth, Texas, they approached 2020 Exhibits to design and deliver a powerful first impression. 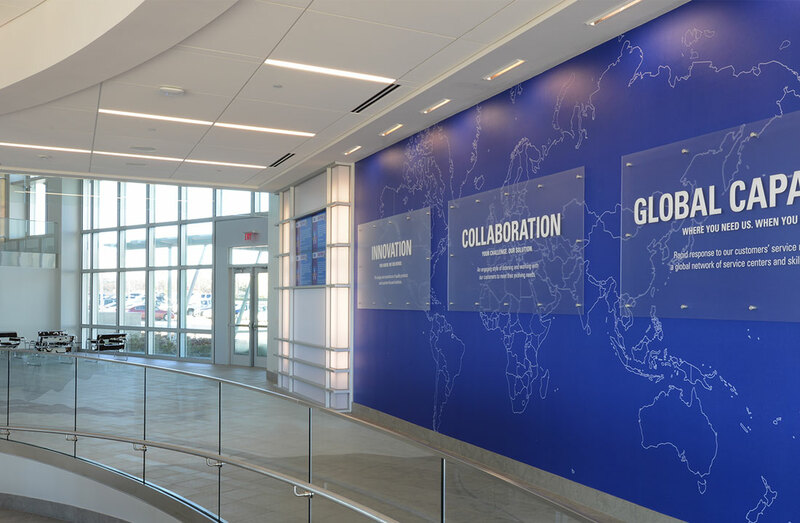 At the onset of this all-important project WEIR laid out a series of goals. 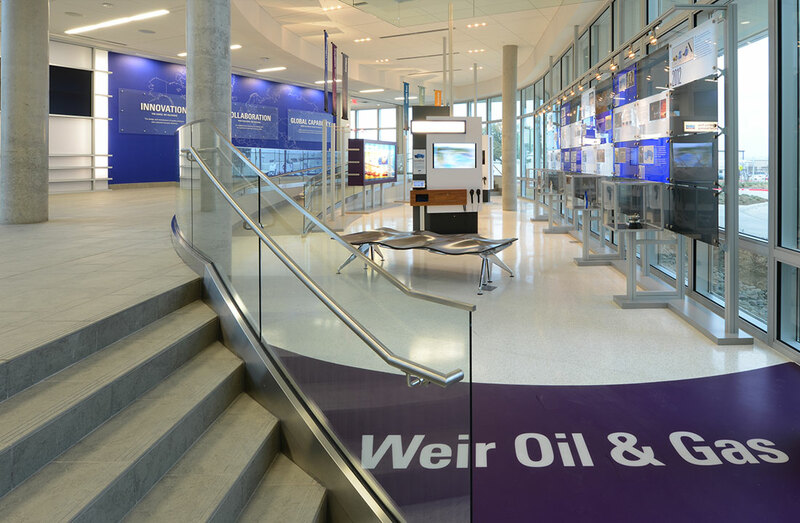 Officially christened the WEIR Oil & Gas Headquarters and New Product Show Room, this lobby experience had to be nimble enough to evolve with the brand as their products, needs and objectives changed and grew. 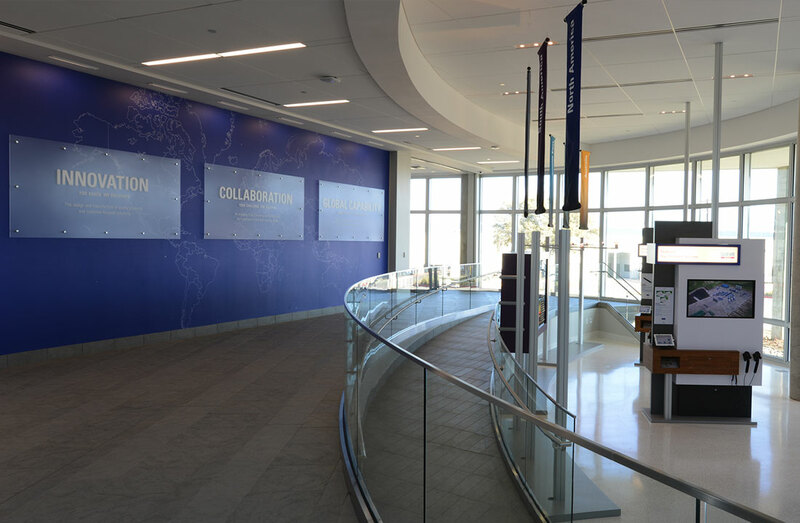 From the moment visitors stepped inside, WEIR’s brand culture of innovation, education and greater collaboration needed to take center stage. 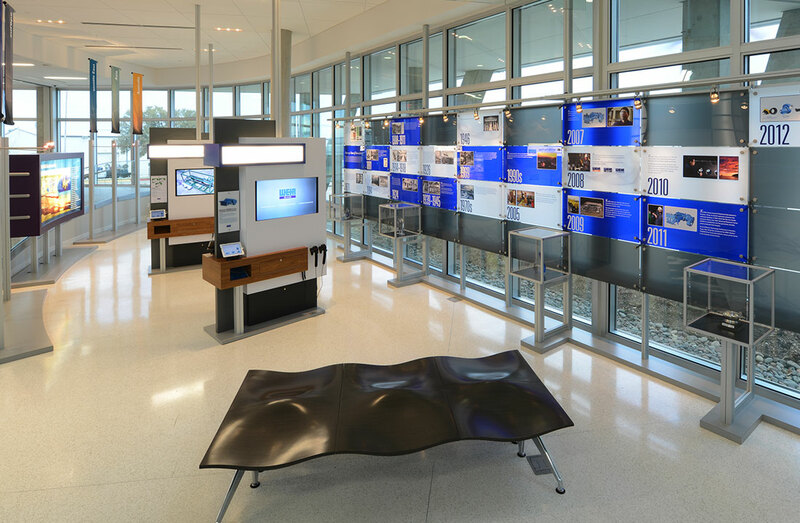 Offering interactive and engaging ways for people to learn more about WEIR’s innovation in technology and global capabilities, the environment should showcase WEIR’s proud and extensive history, giving it the weight and full measure it so rightly deserved.